By Craig | January 2, 2019 | This post may contain affiliate links, which means we may receive a small commission, at no cost to you, if you make a purchase through a link. Read our Disclosure. 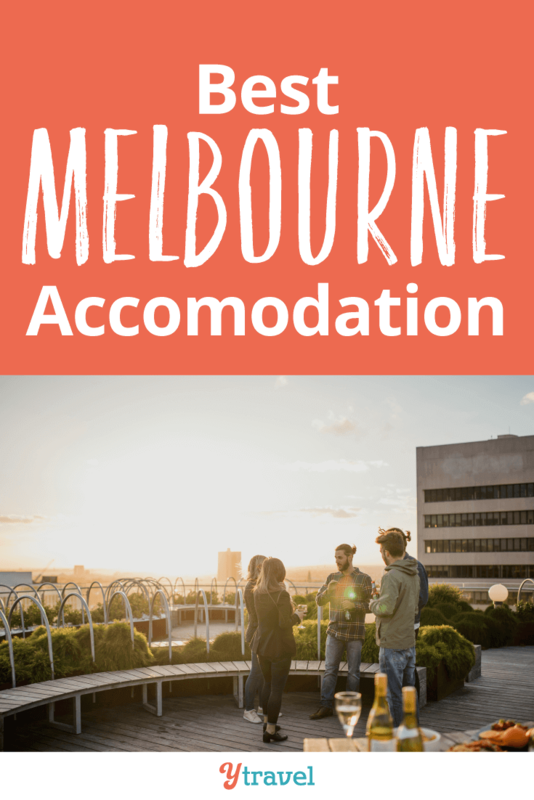 There are literally hundreds of places to stay in Melbourne and to save you some time, and hopefully some money, I’ve researched the best Melbourne accommodation options and narrowed down your choices to a few select properties. If you are planning to visit Melbourne for the first time, I’ve created a list of the best options for 3, 4,and 5 star hotels, apartments, and hostels, and for every type of traveler from budget, to mid-level, to luxury. I’ve focused the location of the properties within Melbourne city centre (CBD) so you can walk to the main attractions, restaurants, cafes, bars, and have easy access to Melbourne’s public transport system. For my list below, each property had to meet a specific criteria and for my research I used the Booking.com website. 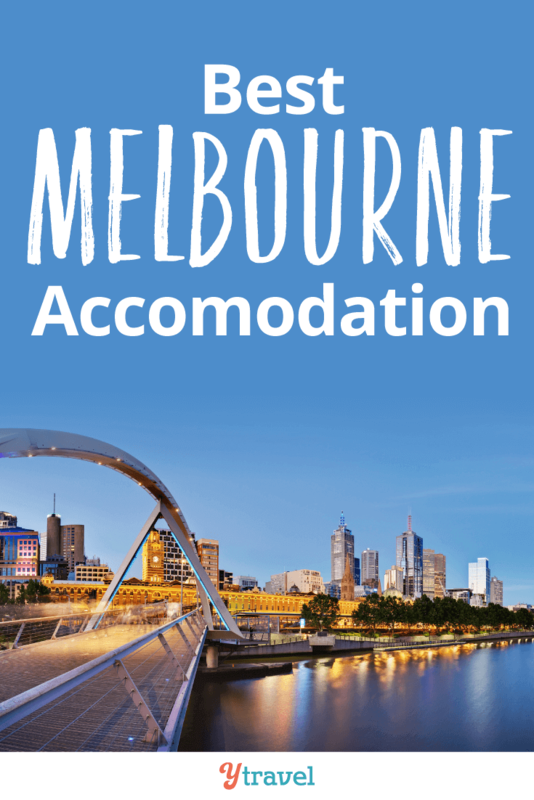 Why book your Melbourne accommodation with Booking.com? Booking.com is the world leader in booking accommodation online and has over 800,000 properties worldwide, and over 600 in Melbourne. There’s a lot of competition on Booking.com which creates lower prices so hopefully you can find some Melbourne hotels deals! You get free cancellation on most rooms, and a best price guarantee. Plus, they have verified reviews from guests who have actually stayed at the property! We are partners with Booking.com, which means we’ll receive a small commission should you choose to book through the links on our site. We book our own accommodation through them, which is why we recommend them to you as our preferred accommodation provider. Click on each link to read a full description of the property. I hope this page helped you to find the best Melbourne accommodation to suit your needs. If you found this post useful, please share it with someone visiting Melbourne using the social sharing buttons below. 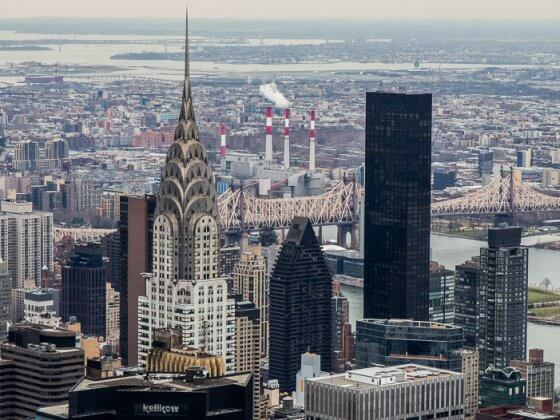 Yes, we are an affiliate of Booking.com but we are also paying customers, just like you, and use their website to book our own accommodation. Can you recommend a place to stay in Melbourne? Please share any tips in the comments! I am a Melburnian and whenever my (fussy) interstate parents come to visit they always stay at the Grand Hotel on Spencer Street. They have spacious apartments in the newer section and it’s very close to Southern Cross station. Thank you for the recommendation Joyce! Little Creatures?? Really, it was so popular when we were there. Thanks for the heads up. Craig thank you for sharing! What a lovely article and the photos are amazing too! 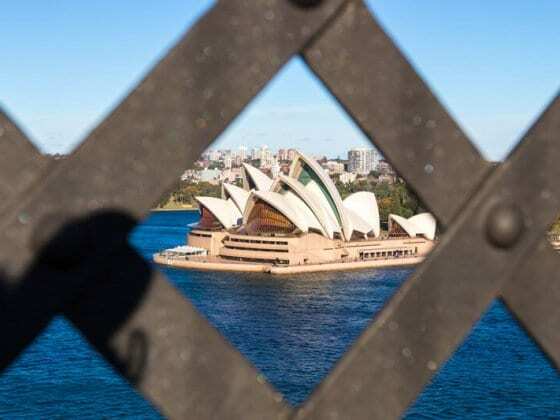 I love how you put together these information on “BEST MELBOURNE ACCOMMODATION OPTIONS FOR HOTELS, APARTMENTS, AND HOSTELS – FROM BUDGET TO LUXURY”. Easy to read, very relatable and great tips! Can’t wait to read more!